Surviving layoffs requires a good plan of action and putting the right strategies in place. You have worked through the first steps of accepting and dealing with the job loss by dealing with your feelings of anger and fear using the resources at surviving a layoff. These resources will help you get to the point where you are able to take stock of the situation and plan your next step. Now you can start to take action and try to find employment. Take control of the situation with these five steps. Take a fresh look at your resume. Research and identify what potential employers are really looking for and need. 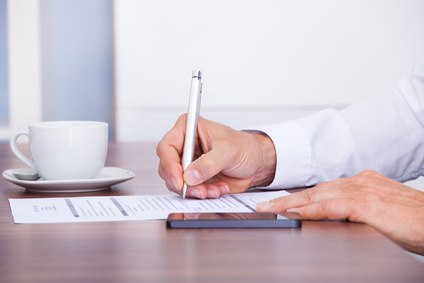 Tailor your resume to highlight why you meet these requirements. Include all the skills and experience that you acquired on your last job in your resume. Mention all your relevant achievements and strengths but stay clear of exaggeration. Try to keep your resume to about two pages in length and in a format that allows for easy email or online access. If you have over 10 years experience the resume should focus on the most recent 10 years. Once you have updated your resume give it a test run. Email it to friends and family and ask for constructive feedback on whether your resume provides a clear sense of what you do and what you have achieved as well as what you are looking for. Use the sample resume template to draft a well-structured resume. Or personalize one of these resume samples for your own use. This is an important step in surviving layoffs. Don't leave your job without letters of recommendation, employment references, endorsements, any awards you have won and any certificates of accomplishment. Include relevant samples of your work and documents such as sales reports and proposals. Collect every item available to prove to your next company your ability and potential. Taking the time to build an impressive portfolio both boosts your self esteem and provides a strong message to future employers about your worth. Key to surviving layoffs is not to be embarrassed about been laid off. Tell everyone you know that you are looking for work and what sort of jobs would suit your skills and needs. There are various ways to network effectively - make use of as many of them as you possibly can. Send personalized letters to the Human Resource departments of potential employers. Call beforehand to find out who you should address the letter to. Also include letters to the relevant manager or director such as the sales director, marketing director. Have business cards available to hand out when an opportunity presents itself. Ask for business cards of people you network with to follow up. Think about using a recruiter. Most recruiters offer a free service to job seekers and they are at an advantage of having access to employers and job opportunities that are not always advertised. Set yourself a goal for each day that involves a number of networking activities. But network smart and be focused about your activities. 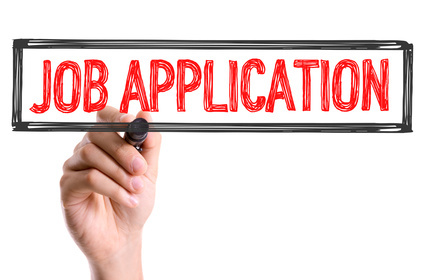 You can consider temping while you continue to search for a permanent position. A temporary position can provide a number of networking opportunities as well as skill development opportunities. Make use of any layoff counseling or career coaching your employer has offered you. They can help you develop a job search plan and help you with assessments to ensure that you are pursuing the right sort of job. Every state has a One Stop Career Center that is open to all residents and caters to employees who have been laid off or expect to be laid off from their jobs. They provide help with job search and other employment requirements and are a good resource for surviving layoffs. Don't rush any job applications. Be thorough and include a good cover letter. Make sure you have the required skills and experience for any job you apply for. Don't waste your time applying for jobs that you are clearly not qualified for. Keep an accurate record of which jobs and companies you have applied to so you can follow up on your resume or job applications. Be sure you know your layoff rights and get what is owed you from the company. Use these surviving layoffs tips to help you through this challenging time. Surviving layoffs means demonstrating flexibility, energy and persistence. Being laid off is not personal in today's economy, it is simply a fact of life. After your lay off your job is to deal with the negative fallout you emotionally experience and then develop a workable strategy for survival and success.